Today's post comes from The bf. 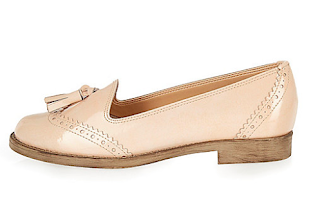 He suggests that we look at loafers for spring. I couldn't agree more. With muses like Dakota Johnson or Alexa Chung, we can easily pair these masculine slip ons with skirts and dresses. 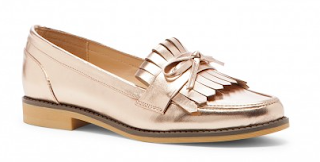 Today we're focusing on tassel or fringe loafers. Pink patent leather tassel loafers. Need I say more? Not feeling the tassel? Try this delicate bow on top of the fringe. 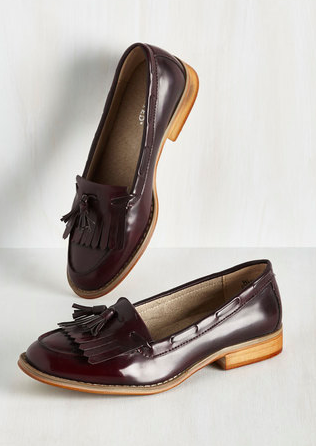 A more traditional loafer in a red infused mocha color. I think I may have saved my favorite for last. 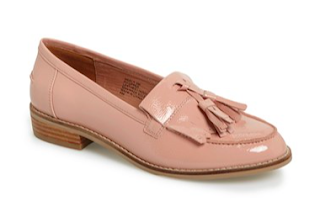 A great rounded toe with a touch of saddle shoe design. Not so masculine anymore, huh? I love mixing this classic with anything girly in my closet.